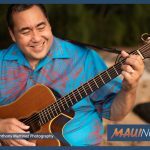 Maui Arts and Culture Center hosts the Hawaiʻi International Film Festival, screening four separate films between November 30 and December 2. Tickets are $12 per film and can be purchased online or at the MACC box office during operating hours. Friday, Nov. 30 at 6:30 p.m. The Polynesian ocean canoe, the Hōkūleʻa. PC: MACC. 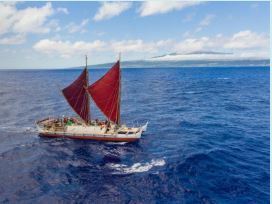 This film celebrates the historic worldwide voyage of the Hōkūleʻa that connected countless communities around the globe. In 1976, a voyaging canoe sparked a cultural revival that quickly spread throughout Polynesia, breathing life into ancient myths and legends. More than four decades later, Hōkūleʻa continues to inspire a new generation of navigators and voyagers to gather their courage and sail beyond the horizon of the Pacific. A voyage that also represented the fulfillment of the vision of Nainoa Thompson and his contemporaries, the passing of the mantle to the next generation of kanaka maoli who will retain the skills of their ancestors and perpetuate this tradition for generations to come. Tickets for this film available on the MACC website. Saturday, Dec. 1 at 1 p.m.
“Sharkwater Extinction” is a new film depicting the illegal shark fin industry. PC: MACC. This film is a follow-up to Sharkwater (HIFF 2007), presenting an inspiring action-packed journey with filmmaker Rob Stewart as he exposes the massive illegal shark fin industry. From West Africa, Panama, and France to our own backyard, Stewart’s third film dives into the violent underworld of the pirate fishing trade to expose a multi-billion dollar industry. Sadly, Stewart passed away during the production of this film, but his conservationism and love for the ocean lives on in his work. Saturday, Dec. 1 at 3 p.m.
“50 First Kisses” is a Japanese remake of the romcom “50 First Dates”. PC: MACC. The plot for this film is a Japanese remake of the rom-com, “50 First Dates”. Takayuki Yamada is Daisuke, a womanizing travel agent. The object of his affections, Rui (Masami Nagasawa), is an art teacher living with her father and brother, who try to preserve the illusion that nothing has changed since the day of the accident that caused her amnesia. The trailer for this film can be viewed online. Sunday, Dec. 2 at 1:30 p.m.
“Anote’s Ark” portrays the challenges facing the pacific nation of Kiribati as it combats global climate change. PC: MACC. 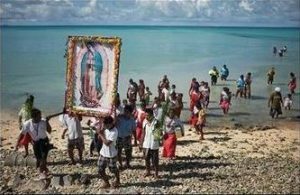 Threatened with total destruction by rising sea levels, the low-lying pacific nation of Kiribati is poised to be one of the first catastrophic victims of climate change. Set against the backdrop of international climate negotiations, “Anote’s Ark” follows the country’s president as he fights to have climate displacement recognized as an urgent human rights issue, and to find a lasting home for his people and 4,000 years of their culture. 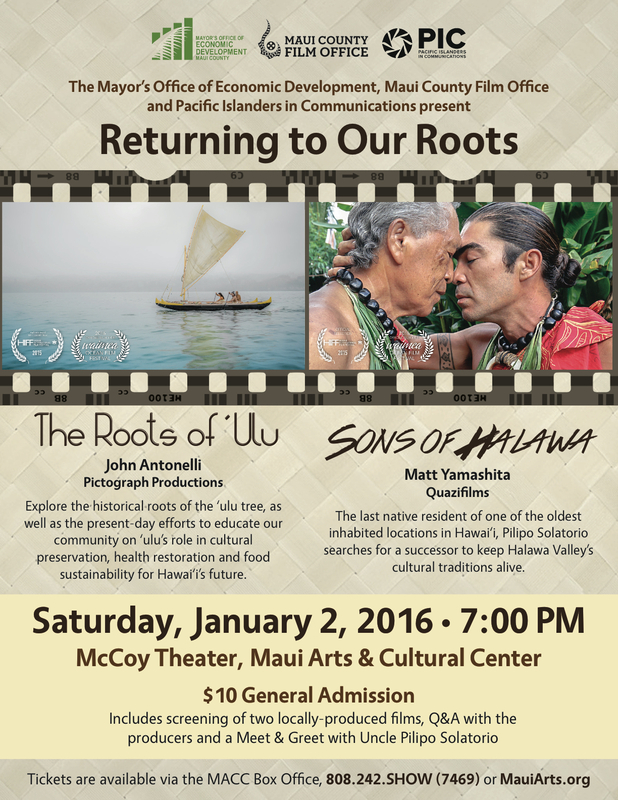 For more information about the festival, its films, and the MACC visit: http://mauiarts.org/hiff.